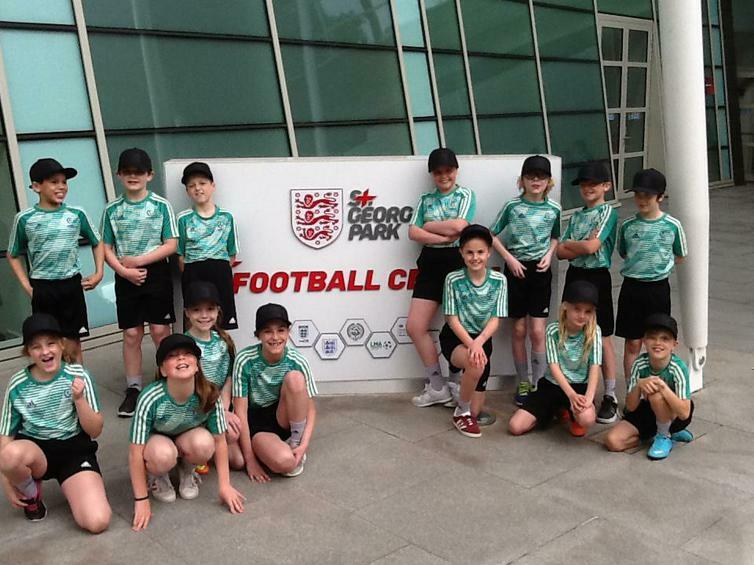 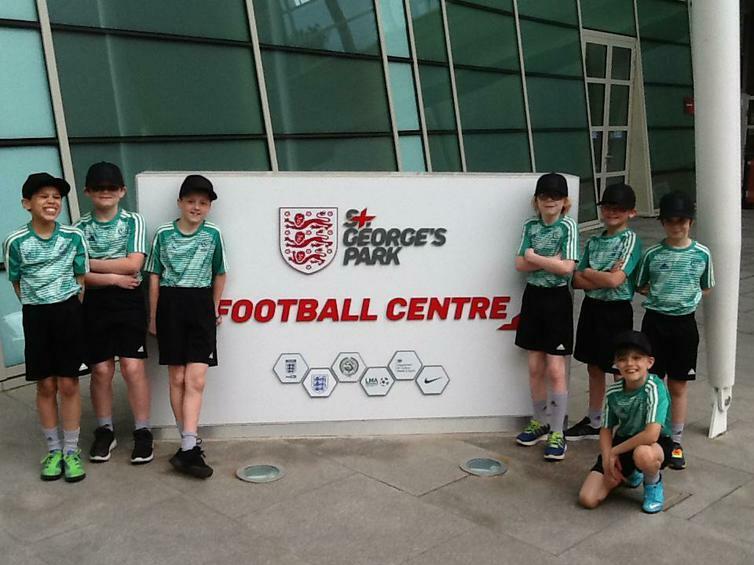 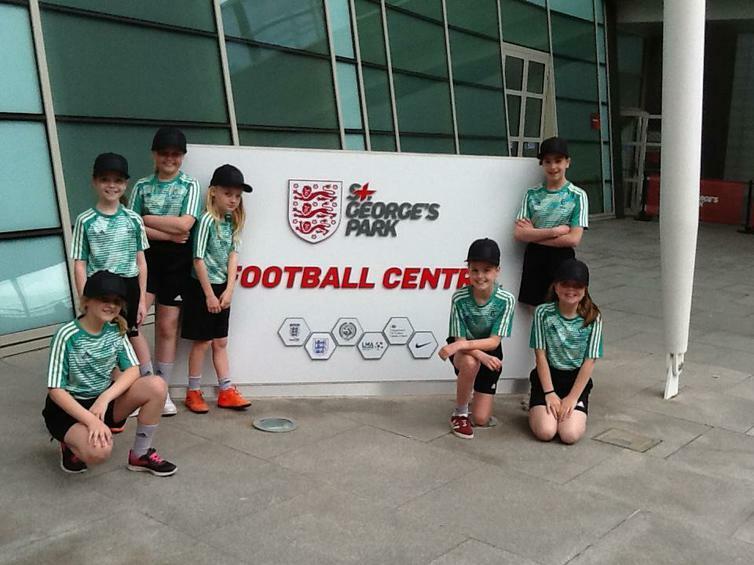 On Friday 11th May a group of Year 5 children took part in the Under 17 European Championships at St Georges Park. 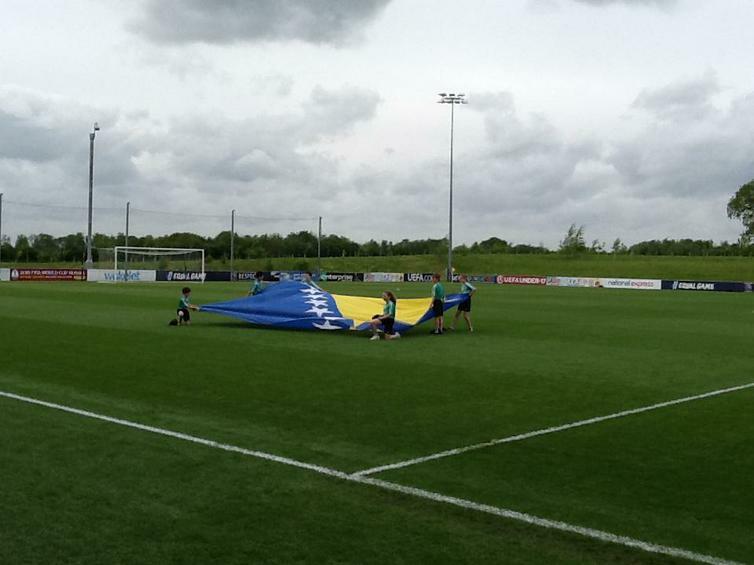 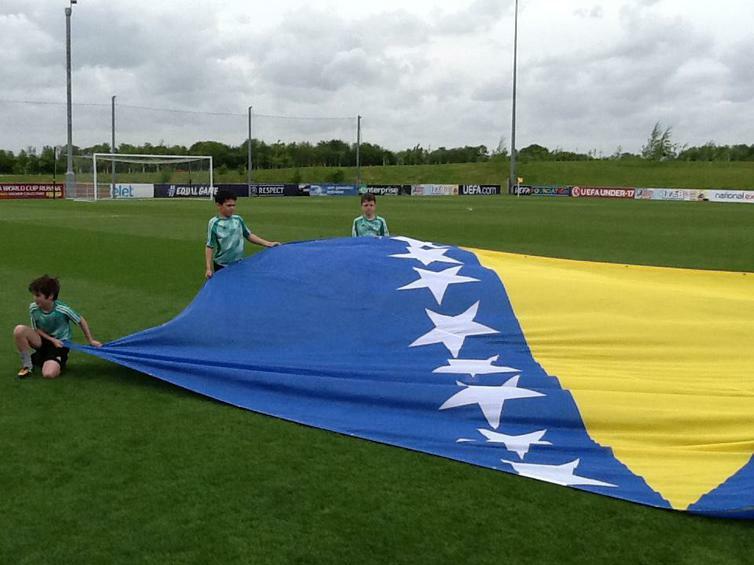 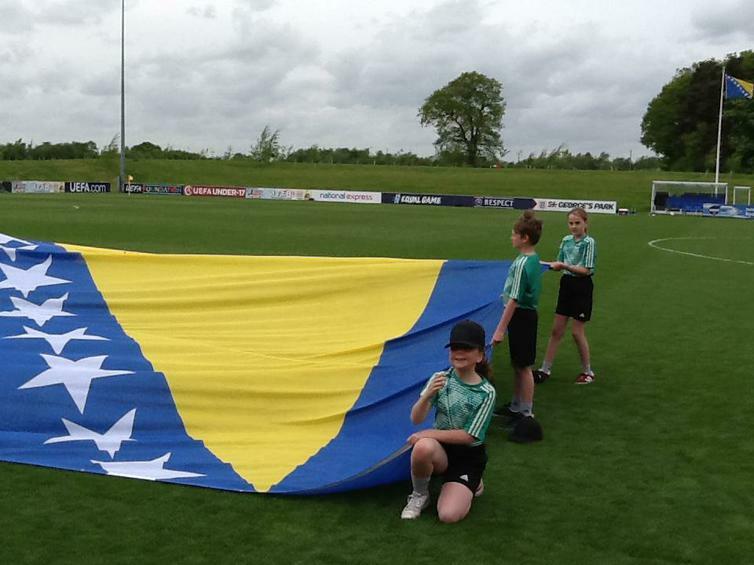 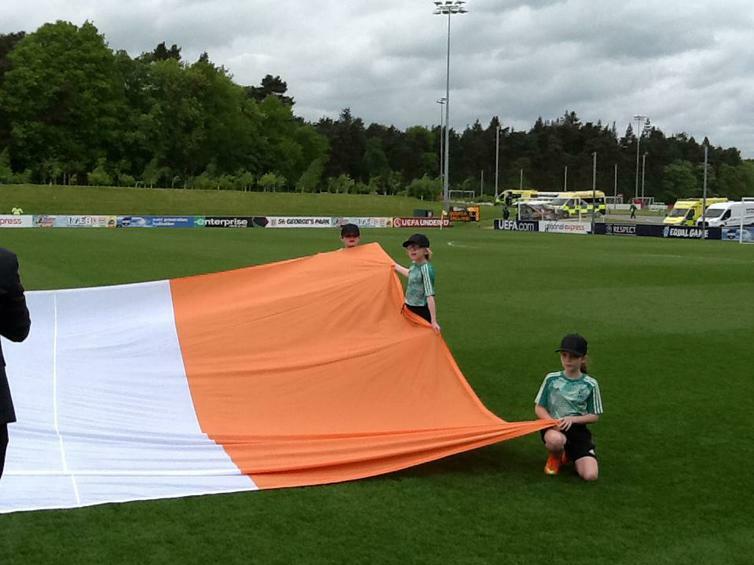 We had been invited to be flag bearers, player mascots and ball kids for the Republic of Ireland v Bosnia match. 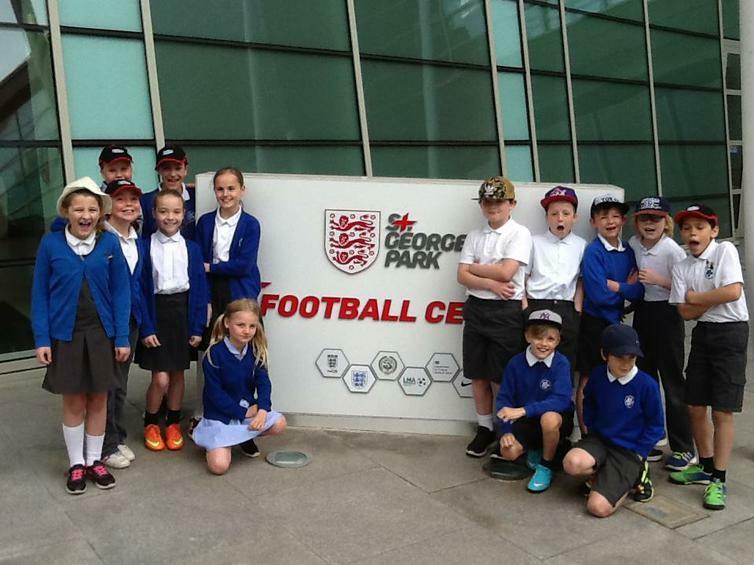 The children performed their roles excellently and loved every minute. 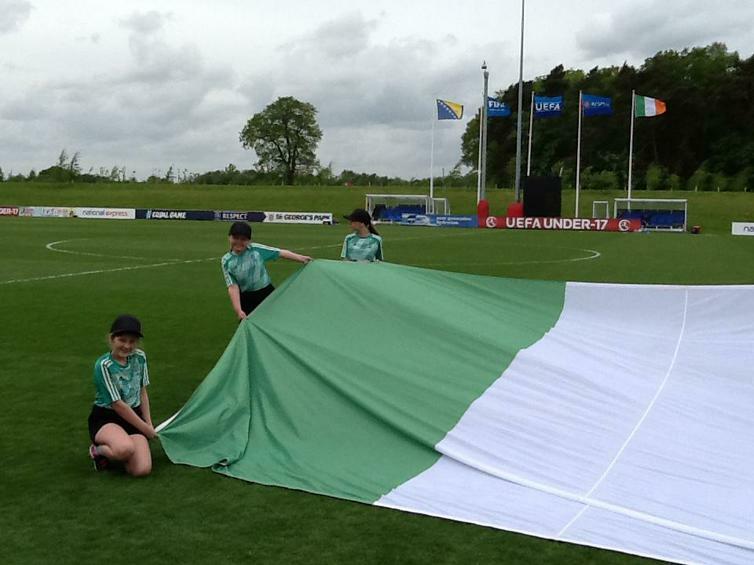 They were superbly looked after by the FA & UEFA representatives.